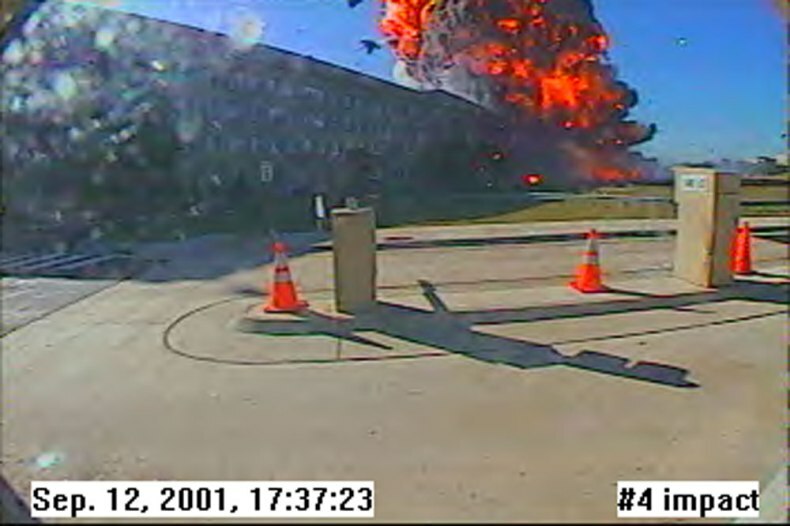 Steve Riskus took these pictures seconds after the plane hit the pentagon. 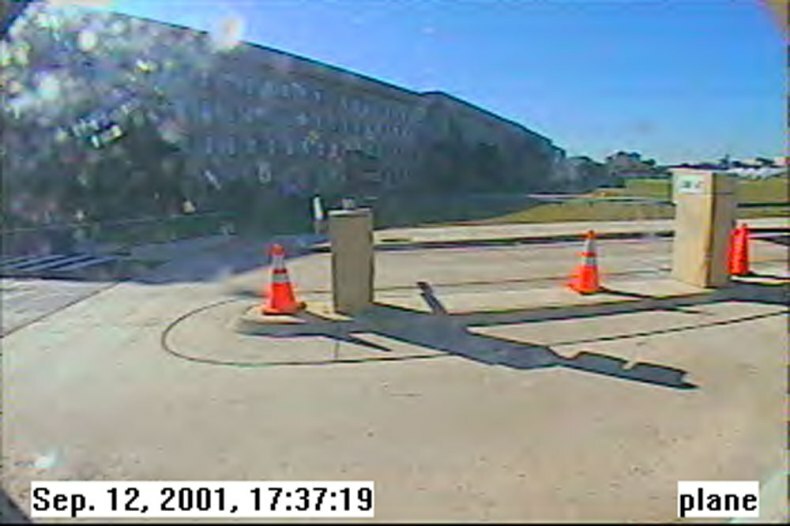 He was traveling on route 27 towards 395 when the plane crossed his path from the right about 100ft in front of him and crashed into the pentagon. 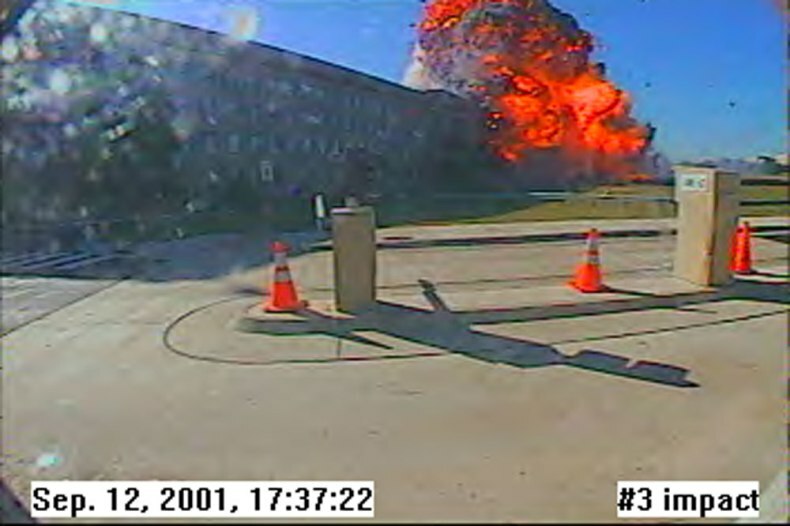 WASHINGTON, Sept. 11, 2001 -- The Pentagon was a target today of an alleged terrorist attack, which followed other alleged attacks on the World Trade Center in New York City. 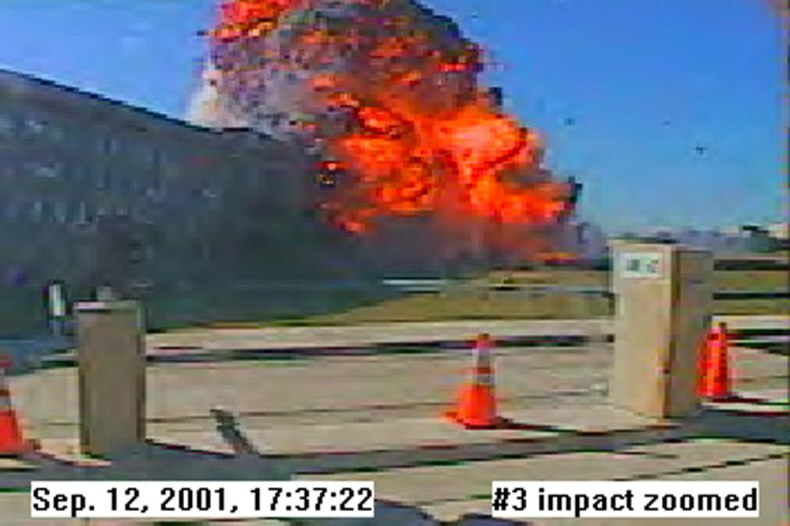 Army Maj. Jeff Mockensturm said he was in a meeting in Room 3D450 at that time when an explosion erupted with a blinding orange light. 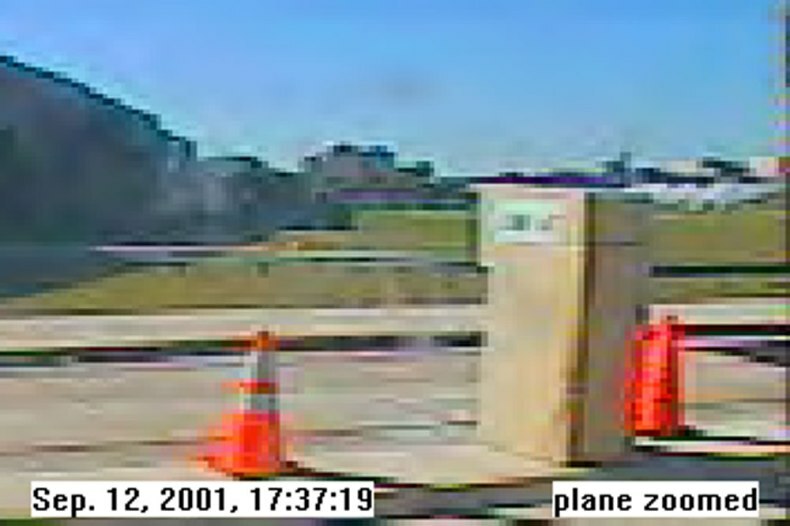 Authorities confirmed that a commercial airliner, possibly hijacked, had crashed into the building. 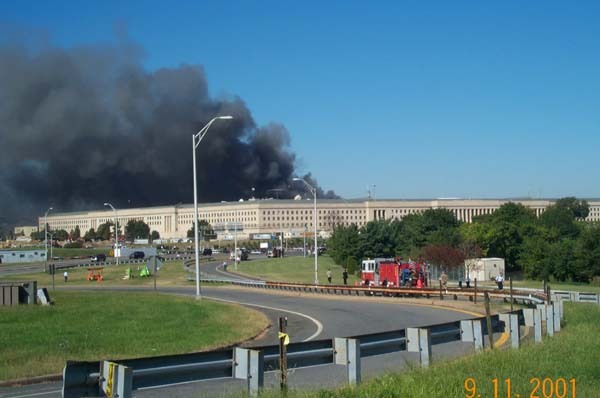 Smoke and flames rise from the Pentagon as firefighters continue to work to put the flames out. 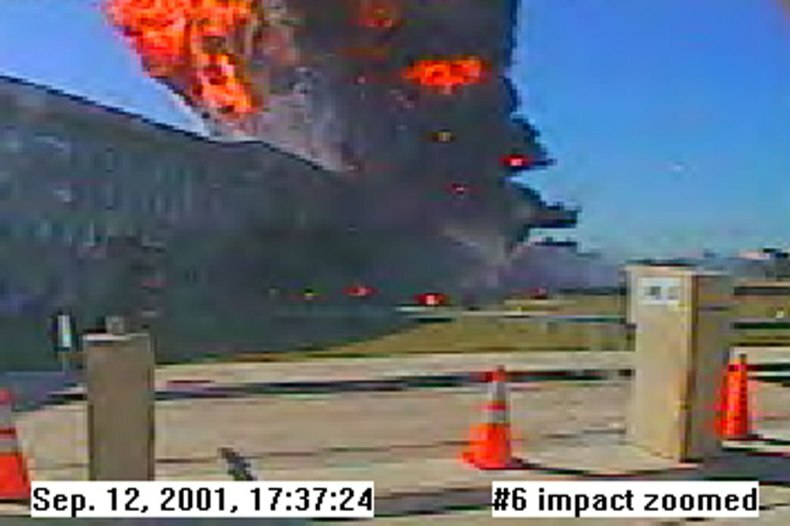 A plane struck the building at about 9:40 a.m. Sept. 11, 2001. Witnesses said evacuation of the building was calm and orderly. Hundreds of military and civilian workers volunteered to help local medics. Photo by Jim Garamone. 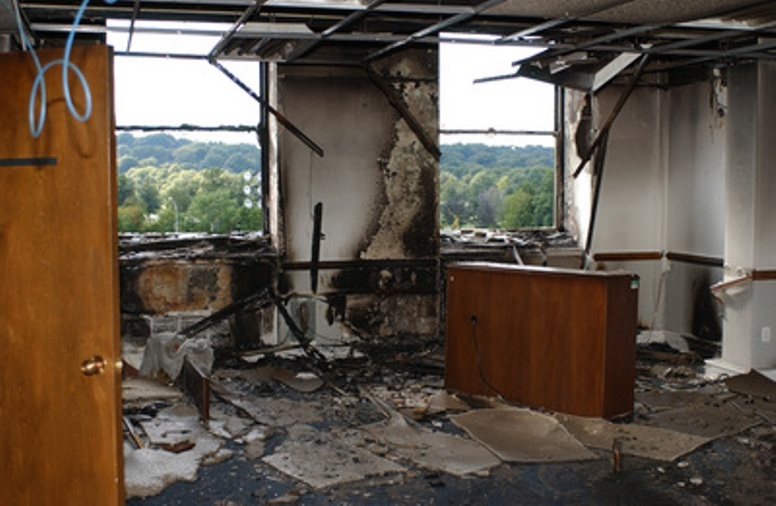 "It felt like it was right outside the window," Mockensturm said, who works for Army's program analysis and evaluation office. "The window cracked, the ceiling shook, the floor shook. 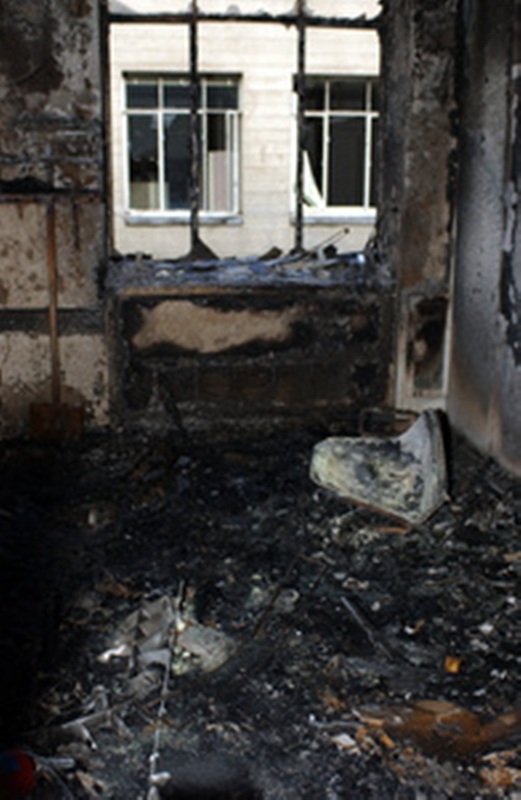 I felt like it was an earthquake, like the whole building was going to collapse." 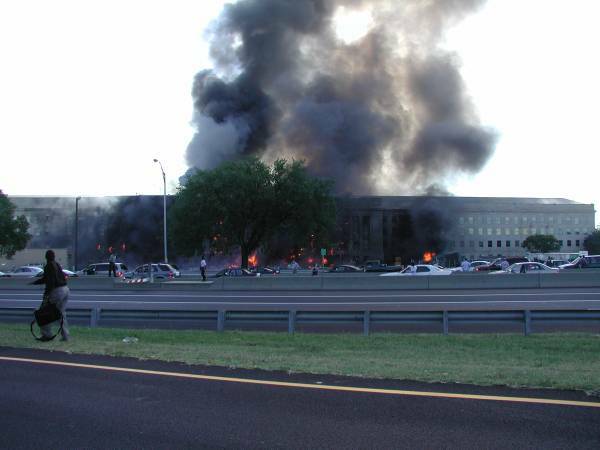 The major joined thousands of other Pentagon employees who had been evacuated after the blast. 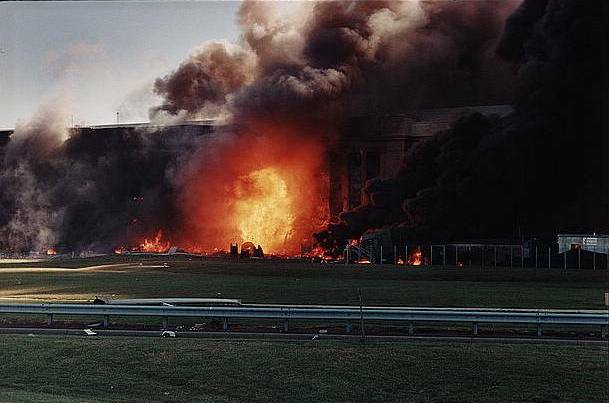 The aircraft crash at the Pentagon followed two others minutes earlier at the twin towers of the World Trade Center in New York City. 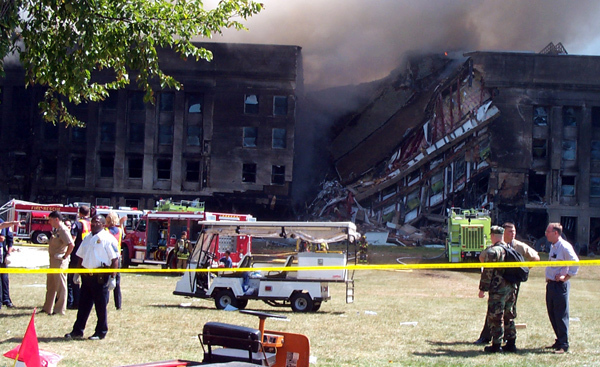 Both 110-story buildings later collapsed. Authorities said they believed all three planes involved had been hijacked by terrorists. Back at the Pentagon, gray-black smoke billowed as an Air Force F- 16 fighter circled overhead, on patrol for another airliner reportedly flying in the area. No airliner was intercepted. Part of the building hit collapsed; firefighters continue to battle the flames. The building was evacuated, as were other federal buildings in the Capitol, including the White House. The number of casualties is unknown. The Pentagon's workday population is about 24,000. 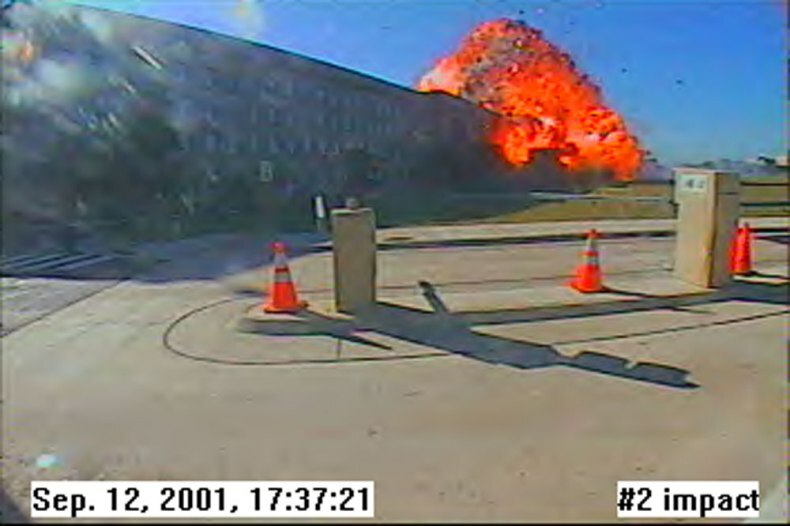 Smoke and flames rose over the Pentagon at about 10 a.m. today following a suspected terrorist crash of a commercial airliner into the side of the building. Part of the building hit collapsed; firefighters continue to battle the flames. The building was evacuated, as were other federal buildings in the Capitol, including the White House. The number of casualties is unknown. 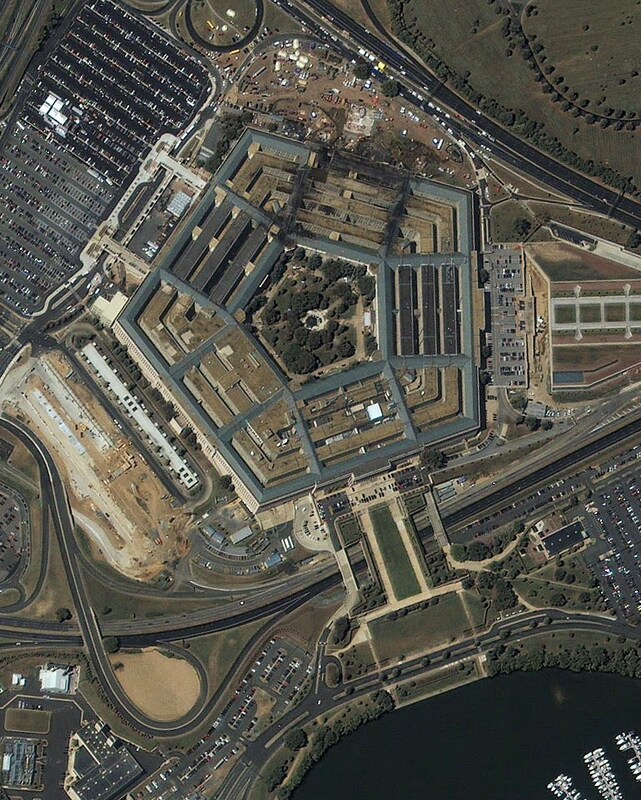 The Pentagon's workday population is about 24,000. Updates will follow as they come available. Photos by Gerry J. Gilmore. Defense Secretary Donald H. Rumsfeld tells reporters that "people who work in this building do so voluntarily, and they are brave people." 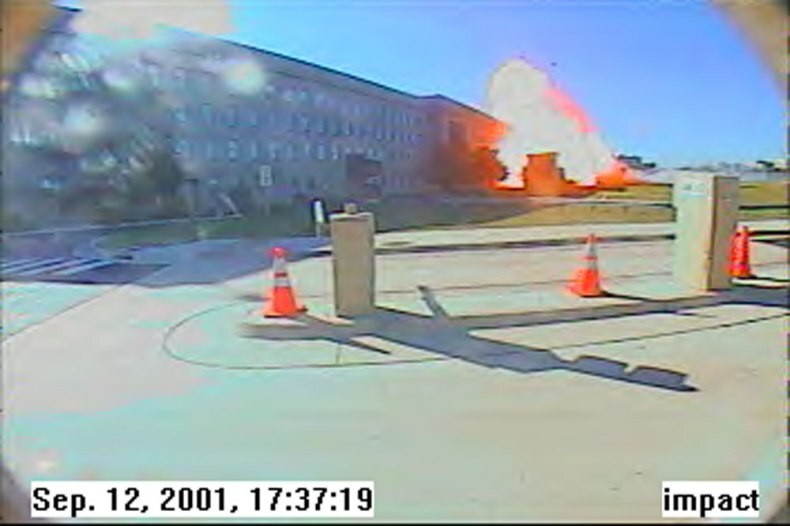 Rumsfeld held his press conference in the Pentagon at about 6:15 p.m., about eight hours after a suspected hijacked commercial airliner smashed into the building Sept. 11, 2001. At the conference podium were (from left) Army Secretary Thomas White, Chairman of the Joint Chiefs of Staff Army Gen. Henry Shelton, Rumsfeld, U.S. Sen. John Warner of Virginia and U.S. Sen. Carl Levin of Michigan. Levin is chairman of the Senate Armed Services Committee; Warner is ranking minority party member of the committee. Photo by Jim Garamone. WASHINGTON, Sept. 11, 2001 -- "The Pentagon is functioning" is the message Defense Secretary Donald Rumsfeld sent by holding a press conference in the building's briefing room barely eight hours after terrorists allegedly crashed a hijacked commercial jetliner into the national military headquarters. "It's an indication that the United States is functioning in the face of this terrible act against our country," Rumsfeld said. "(The Pentagon) will be in business tomorrow." Accompanying Rumsfeld on the press conference podium were several other senior federal officials including Chairman of the Joint Chiefs of Staff Army Gen. Henry Shelton, Rumsfeld, and U.S. Sens. John Warner of Virginia and Carl Levin of Michigan. The secretary told reporters it's not possible to have solid casualty figures at this time and that the various Defense Department components are working to account for their people. 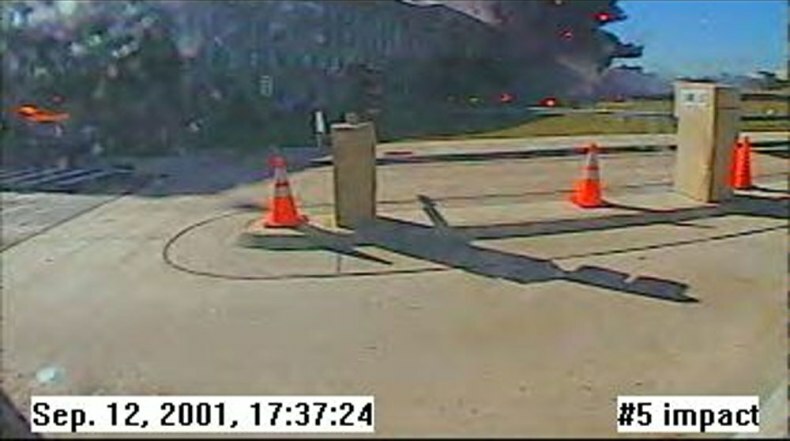 He said there could be no survivors among the 64 passengers aboard the commercial plane that crashed into the building. 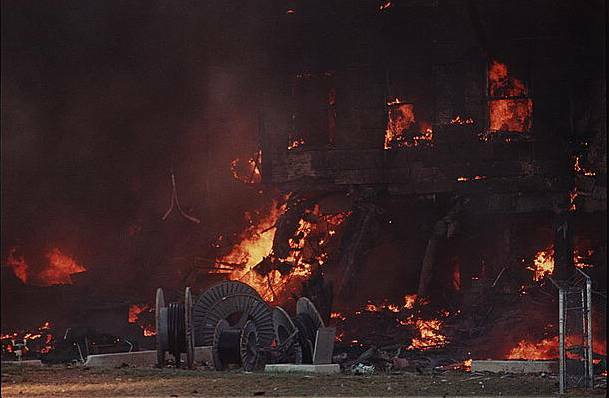 "There is no question but that the attack … today was a vicious, a well-coordinated, massive attack against the United States of America," Rumsfeld said. "What words the lawyers will use to characterize it is for them (to decide)." Shelton called the events of Sept. 11 "an outrageous act of barbaric terrorism carried out by fanatics." He said this was a reminder of the "tragic dangers" that military people face day in and day out. The chairman refused to discuss what actions the United States would take in retaliation. "But make no mistake about it," he said, "your armed forces are ready." Levin, chairman of the Senate Armed Services Committee, called terrorists "the common enemy of the civilized world." "Our intense focus on recovering and helping the injured and families of those killed is matched only by our determination to prevent more attacks," he said. "This is indeed the most tragic hour in America's history," said Warner, former committee chairman and its ranking minority party member. "And yet I think it can be our finest hour as our president and those with him (including) the men and women of the armed forces stand ready not only to defend this nation and our allies against further attack but to take such actions as are directed in the future in retaliation for this … series of terrorist attacks (that are) unprecedented in world history." Warner called upon the entire world to step up and help. "We're in this together," he said. "The United States has borne the brunt, but who can be next. Step forward and let us hold accountable and punish those that have perpetrated this event." Asked by reporters about possible retaliation, Rumsfeld called the question premature. 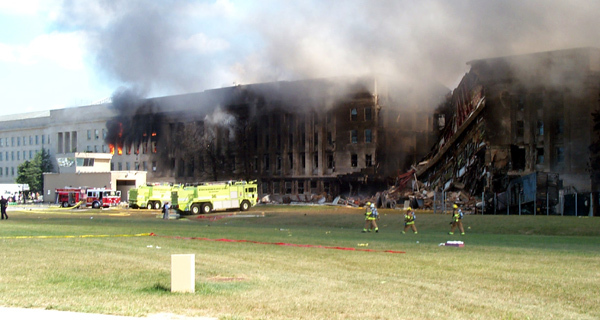 A wall of the E-Ring of the Pentagon leans inward and other walls show fire damage in this Sept. 14, 2001, photograph. 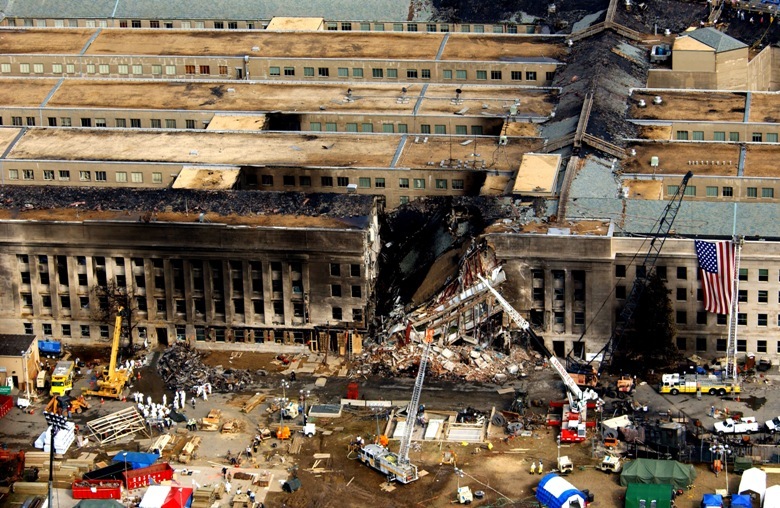 Damage to the Pentagon was caused when the hijacked American Airlines flight slammed into the building on Sept. 11th. DoD photo by Staff Sgt. Larry A. Simmons, U.S. Air Force. 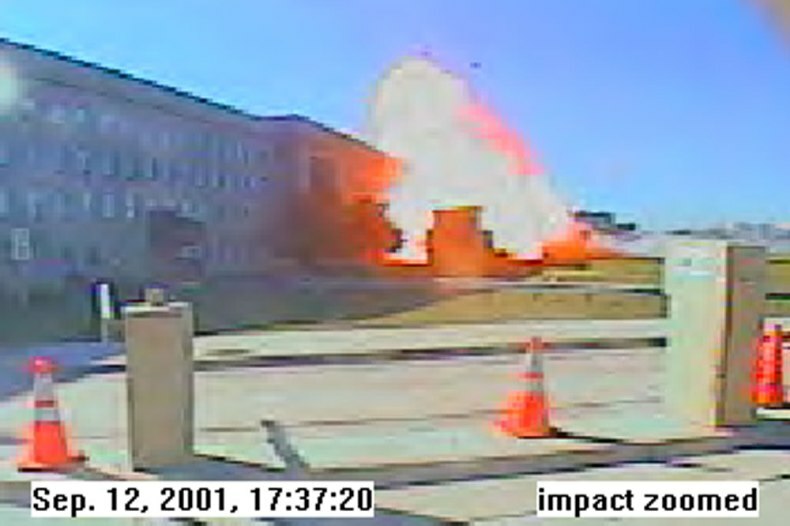 The effects of the blast and the fire The office was in the section of the Pentagon slated to be renovated next. 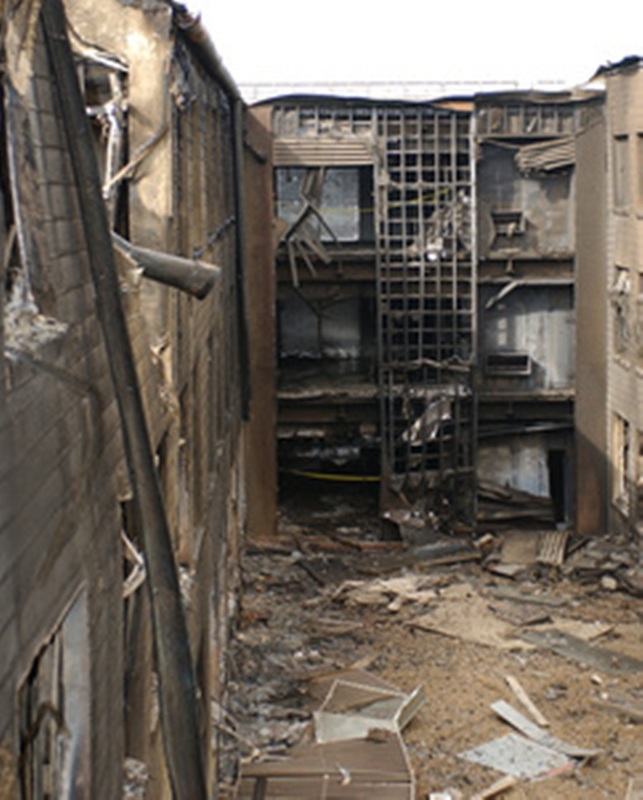 The terrorist attack caused extensive damage to the west face of the building . 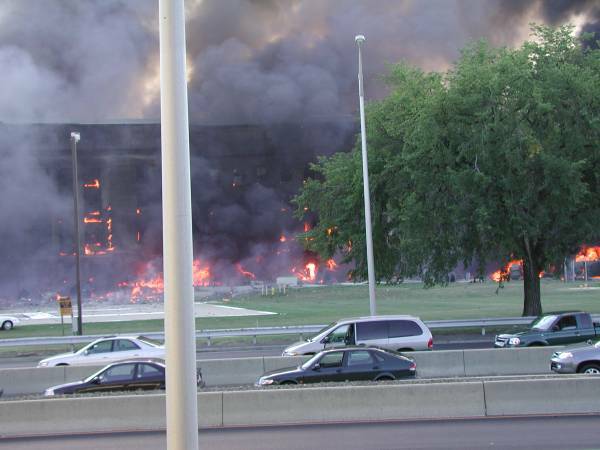 WASHINGTON, Sept. 11, 2001 -- Survivors of today's apparent terrorist attack against the Pentagon are urged to contact relatives to assure them of their safety, a Pentagon spokesman said today. "We are asking … people to phone their families and loved ones immediately to let them know that they are OK," DoD spokesman Navy Rear Adm. Craig Quigley told reporters outside the Pentagon at midafternoon. It was the first official DoD news briefing after the incident. 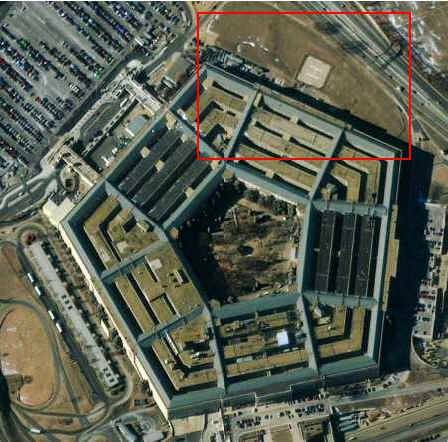 Quigley said he had no information on the allegedly hijacked commercial aircraft that crashed into an outside wall of the Pentagon around 9:30 a.m. Eastern time today. However, he remarked, "This was no accident." 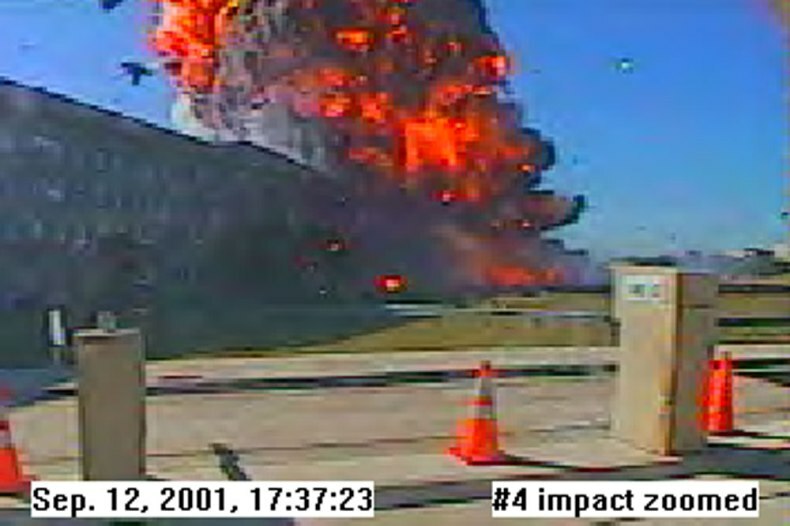 Defense Secretary Donald H. Rumsfeld was in the Pentagon at the time of the crash, and he walked outside the building to investigate and offer help, Quigley said. The admiral noted that the injured had been taken "to a variety of area hospitals" and added that Pentagon officials are working to provide a list of injured. "We will work our way through to identifying them and getting their names out to their loved ones," Quigley said. 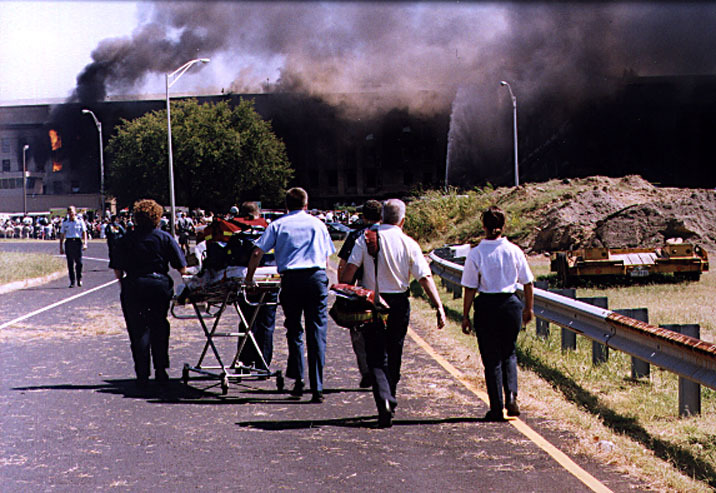 The Pentagon incident followed two other alleged aerial hijackings that resulted in crashes that ultimately collapsed the 110-story twin towers of the World Trade Center in New York City. All U.S. airports have been closed. 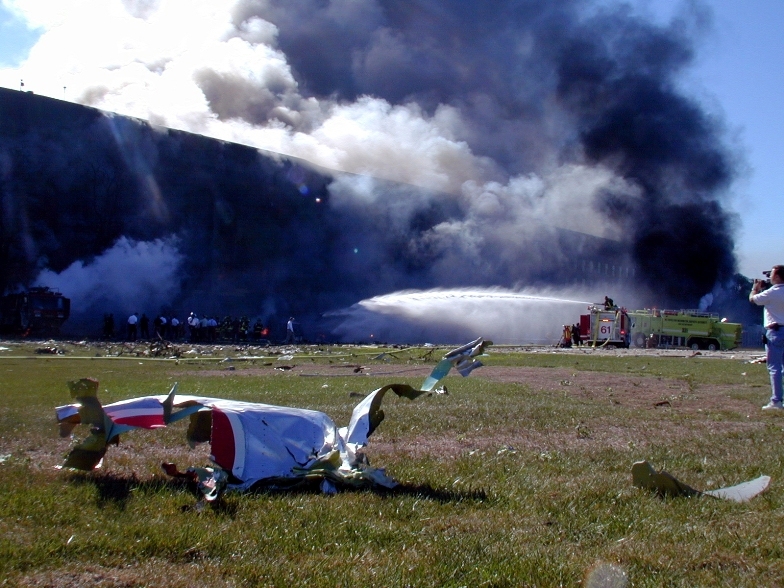 Quigley said defense officials began to assemble a crisis action team after the second aircraft struck the World Trade Center. 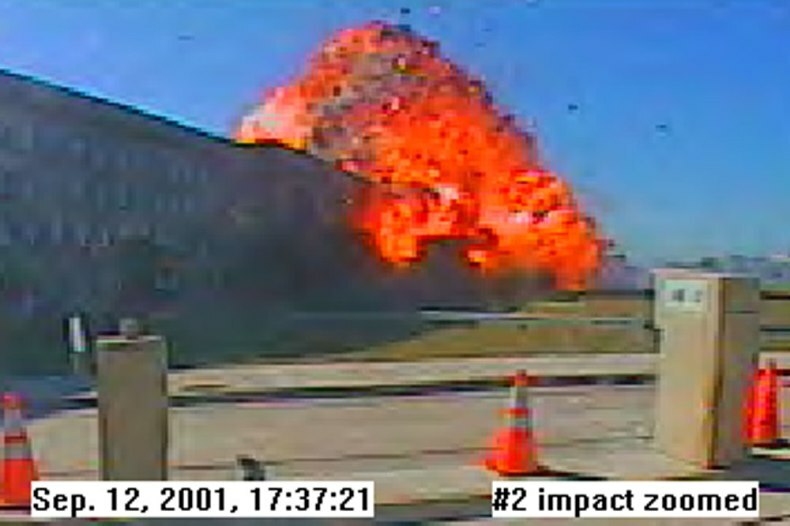 "Shortly after that, the aircraft hit (the Pentagon)," he concluded.